At times life can be non-stop. That seems to be the way for most of us. We’re all busy in our day to day. We want convenience, flexibility and things to be easy. Introducing Hume Bank’s Active Band, a new and exciting payment method that will change the way you access your money. Make payments on the go wallet-free; after your morning run, by the river or pool, at the park with the kids or a quick visit to the supermarket. Active Band is only available on the Essential Account - you can open this online here or via iBank. Make sure you have downloaded Hume's App to set a PIN, lock, unlock or cancel if lost or stolen. Pick up your Active Band in branch. but are not a Hume Customer? Find out more about our Essential Account or call us on 1300 004 863. Wayne is constantly on the go, when he’s not in the office or out active in the community, you’ll find him running by the river or keeping up with the kids. The City2City committee are lucky to have him for the fourth year running. Personal trainer and outdoor enthusiast Matt has a passion for the extreme. On weekends you’ll find him hitting the mountains on his bike, tackling obstacle challenges or in the gym. We’re excited to see what he does next. Cathryn always manages to find a healthy balance in her day. As a previous Australian water-skier champion, business owner, yoga teacher and new mum there’s not much this wonder woman can’t do! 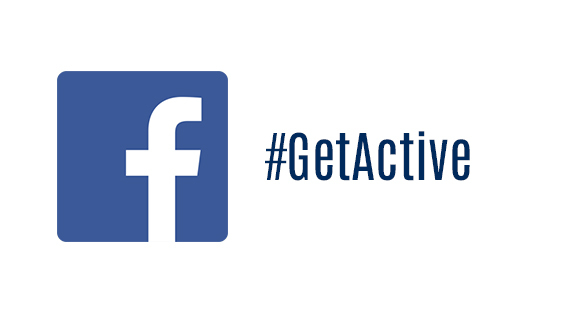 Like our Facebook page and share your Hume Active stories with the hashtag #GetActive! Call us on 1300 004 863 betwen 9am-5pm, Monday-Friday to learn more. Find out where your nearest branch is and visit us today. What is a Hume Active Band? Hume’s Active Band uses the same contactless technology as your Hume Visa Debit Card but gives you the convenience of using PayWave with your wrist instead of using your debit card to make contactless purchases. How does Hume's Active Band work? You can use your Hume Active Band to PayWave instead of using your Debit card wherever you see the contactless symbol. This transaction will be debited from your Hume Essential account and for purchases over $100 you will be required to enter your PIN. You can set your PIN via Hume’s App. What do I do if my Hume Active band is stolen? Log on to Hume’s App, go to ‘Manage Cards’ (your Hume Active Band is displayed). Swipe to lock your card, then select ‘Lost or Stolen Card’. A replacement Active Band can only be ordered at branch. What do I do if I confuse my Hume Active Band with someone else's? Each Hume Active band has a unique ID number that is displayed on the barcode on the inside of the band, please call our Contact Centre on 1300 004 863 between 9:00am – 5:00pm, Monday to Friday and 9:30-12 noon on Saturday (AEST), or Visit your nearest branch and we can verify your Hume Active Band. What can I do if my Hume Active Band stops working? Call our Contact Centre on 1300 004 863 between 9:00am – 5:00pm, Monday to Friday and 9:30-12 noon on Saturday (AEST). As the Hume Active Band is a limited offer, replacements may not be available. Are there eligibility requirements to apply to a Hume Active Band? If you are 14 years or older, have opened Essential Account and have downloaded Hume’s App - you’re eligible while stocks last. How many Hume Active Bands can I have? Only one Hume Active Band per customer will be issued. Are Hume Active Bands waterproof? Yes. Keep in mind that it is made of silicone material so you should avoid stretching or pulling on it aggressively. What is the cost for a Hume Active Band? The initial cost is free for a limited time. A $20 fee applies for replacements. Where can I use my Hume Active Band? Your Hume Active Band can be used wherever Visa PayWave is accepted, in Australia or overseas. Can I use my Hume Active Band for transactions above $100? Yes, as long as you have set a PIN, which you can set up via Hume’s App. Can someone else use my band? Like any Visa product, this device is only intended to be used by the person the device has been issued to. Hume’s Essential Account gives you unlimited transactions, so no need to worry about transaction fees. Can I do online purchases? No, Hume’s Active band is only suitable for purchases that require payment via a terminal with contactless technology. How do I put on the Hume Active Band? Place the band on top of your wrist with the logo facing up. Thread the strap through the loop and tighten. Fix into position by pressing the metal pin into the hole on the band. Once secured, flip the strap so the logo is facing down. Can I use the Hume Active Band overseas? 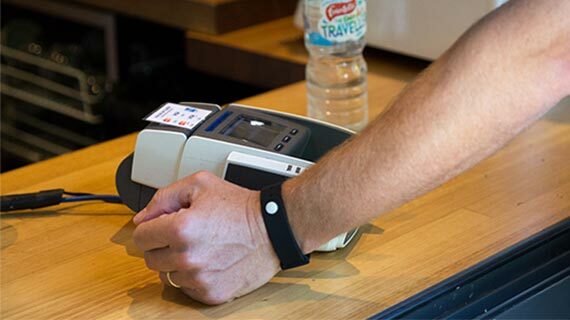 Yes, you can use the band instead of using your debit card when you see the contactless symbol. Can I use the Hume Active Band to withdraw cash? No, unfortunately you will not be able to withdraw cash. Will the Terms and Conditions for my Hume Debit card and Essential Account change as a result of ordering or using the Hume Active Band? No, the Terms and Conditions that apply to your Debit card and Essential Account will continue to apply. See also the Conditions of Use that apply to the Hume Active Band. Does Hume's Active Band have an Expiry Date? Yes it does. Please refer to the information pack that came with your device. ^Promotional offer is available for a limited time until stocks last and is only available to Essential Account holders who are registered with Hume’s App. This product and its eligibility operates under conditions of Hume’s Visa Debit and is subject to application and approval. Hume’s Active Band must be collected from a Hume branch by the account holder and expires in January 2021. Please read the Hume Active Band Terms and Conditions, Product Disclosure Statement, Fees & Charges and Terms & Conditions for a Hume Visa Debit available at humebank.com.au or by visiting any Hume branch to consider whether this product is right for you.